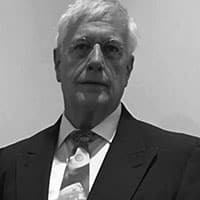 Home Investigations The Gordon Duff Files Assange an Agent of the Deep State? Assange an Agent of the Deep State? Editor’s note: It is our assertion that Julian Assange is and has been an agent of the Deep State in combination with Israel, the Murdoch empire and world Bolshevism. We believe this after years of study. But what the hell do we know? Let’s take a look…. 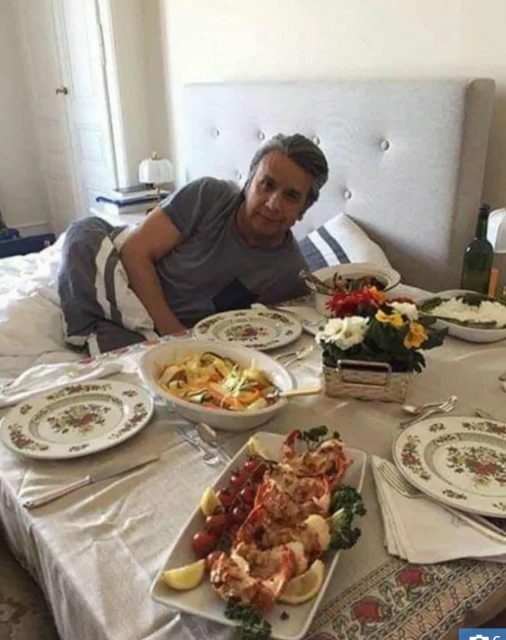 First, lets us look at Lenin Moreno, the Ecuadorian monster who sits in bed and eats lobster all day; this according to Julian Assange. The photo below was released by order of Assange while living in the Ecuadorian embassy in London. Do note that Israel is trying to remove Moreno from office and put a puppet in his place as they did in Brazil and India. What’s wrong with this photo? Well, to begin with, Lenin Moreno is a paraplegic. He is eating “in bed” because, on some days, he is physically incapable of getting around at all from pain. Let’s go further and look at his meal, a small salad and not lobster but langastinos. A langastino is of the species Pleuroncodes monodon, an unmarketable crustacean that inhabits the Pacific coast of Central America south to Ecuador. It is a standard meal of the poor, the equivalent of eating Aldi hot dogs. The Minister of the Interior, María Paula Romo (https://www.eluniverso.com/tema/maria-paula-romo), confirmed in her Twitter account that there have been several cyber attacks in recent days, following the completion of the asylum of Julian Assange and subsequent detention. “Despite having suffered cyber attacks in recent days, no page of the central government, nor of key sectors of the private world, is intervened or taken out of the air,” he wrote. “They have managed to intervene an institutional mail and a page of a municipality,” said the official, without mentioning which municipality is affected. Despite having suffered cyber attacks in recent days, no page of the central government, nor of key sectors of the private world, is intervened or removed from the air. They have managed to intervene an institutional mail and a page of a municipality. Meanwhile, this week Romo had denounced the presence of two Russian hackers in the country linked to Julian Assange, whose asylum Ecuador had withdrawn hours earlier. At approximately 17:00 this Saturday, the website of the Naval Lyceum Educational Unit, in Guayaquil, was also hacked. Assange’s image is shown on the website. Since he is Zionists from Mossad so do NOT expect ANY of Israhell data coming on-line unless his co-workers do the same thing Seth Rich did and get into the computer where the SQL files of ALL the data, bring a 1TB Blue inside for transfers, slip the usb into usb port, drag and drop EVERYTHING in SQL and also the flat files. Send them somewhere where they can be put up on web in a SECURE environment. My sites are covered until Aug 31, 2026 and includes 5 https: sites, I’d be happy to host everything Julian did NOT publish. I would add the confusing mix of assertions presented thus far JIM STONE’s assessment to date. May I quote? As part of looking into whether or not the recent appearance of Assange is real or not, I discovered the Gettysburg Address has been re-written, complete with totally convincing fake photos of the document and it’s text and an absolute re-write of all web sites and video that discuss the topic. However, I also discovered that if you look at language web sites that have it, whatever AI they used to re-write everything did not go into them and change them because they were designated as language, and not history. This includes music sites also, – they forgot about Johnny Cash, and that he did a musical presentation that featured the real words. If this is of interest, and not pooh-poohed by the Grand Poo-Bah — every organization seems to have to have at least one! 😉 — I have personally searched out and found remarkable numbers of sites and images that bear out JS’s contention. I do not want to place links here, but interested folks can still access Johnny Cash’s recording on YouTube (presumably AI missed the music portion — BUT, not the brief image of a handwritten “copy” of the Gettysburg Address in the first few images as Mr. Cash begins intoning — the word “fathers” appears in script, NOT forefathers. Yet, Cash clearly enenciates in the cadence I recall “forefathers”! I have other evidence that this apparent manifestation of the “Mandela effect” confirms yet another “conspiracy theory”, which, as I recall, could have had mention on VT years ago — that of the color of the legs of 3CPO. The importance of this, I assert, cannot be underestimated. WINSTON SMITH, 21st Century. PS. Anna Von Reitz, I think, could point out WHY the change from forefathers to fathers. You seem to be about the only site that has NOT anointed Assange with immediate sainthood. I read about him in the early years and have kept up. A distinctly dodgy character with an even iffier provenance i am sure I read it here that the late Zbigniew Brzezinski reckoned he was a Mossad asset peddling ‘chickenfeed and seeded material’. Also, what has been left out of his disclosures; nary a word about anything Israeli. Israel’s trying to remove him? Is this why I’m hearing all the talk of Moreno being super corrupt guy? Assange exposed American/British crimes and this is not the only one . Collateral Murder in Iraq Released by Wikileaks. — https://www.globalresearch.ca/video-collateral-murder-in-iraq-released-by-wikileaks/5674348 . Assange has already obtained Ecuadorian citizenship , but still was sold by Ecuadorean President L. Morenoto to UK/US . Which is illegal . Good. That will help pay to have the toilets sanitized after all the excrement he smeared around. To get the carpets and other items disinfected after his cat excreted and urinated on. And we all know how cats wee smell is hard to remove. And to replace all the appliances he ruined by leaving them on. Oh and we are all still waiting for those Israeli cable documents to be released that he promised was away back in 2010…tick tock tick tock tick tock goes the clock. I’m with you Finch. Left-wing President Correa gave Assange Asylum in June of 2012. Moreno comes in to power in 2017 and is conservative. Moreno met with Pence. I make no claims to the truth about Assange, but as far as Ecuador goes it appears the new president wanted to be in the US’s good graces.